Some new Ulips have lower costs than what many mutual funds charge. Let's see if it makes sense to invest in the new and much-improved version of Ulips. Not so long ago, unit-linked insurance plans (Ulips) were so popular that almost everyone, from your relationship manager to your best friend, was recommending them as a fast route to riches. Shock came in 2008 when stock markets tanked and those who rushed to surrender their policies found out that high premium allocation and surrender charges had eaten away whatever was left of their investments. Premium allocation charges, deducted from the premium, are for expenses incurred in issuing the policy. "The overall charges in ULIPs are currently around 2.5-4% depending on the tenure of the policy"
Cut to 2014. Ulips have undergone big changes since 2008. 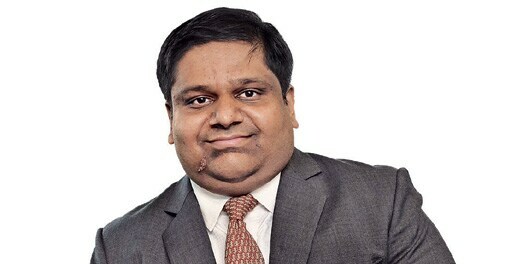 For instance, in 2010, the Insurance Regulatory and Development Authority of India, or Irdai, after a few rounds of tussle with the Securities Exchange Board of India, or Sebi, capped charges at 3% of gross yield for policies with term of up to 10 years and 2.25% for those with term of more than 10 years. This forced insurers to cut commissions. Surrender charges, too, are down from as high as 80-90% of fund value in some cases to as low as Rs 6,000-2,000 depending on the year of surrender. There are now no surrender charges after five years. Yashish Dahiya, chief executive officer and co-founder, policybazaar.com, says, "The overall charges in Ulips are currently around 2.5-4% depending on the tenure of the policy." Despite these improvements, not many people are buying Ulips. Clearly, they have not forgotten the past. Latest data show that Ulips account for 60% business of life insurers. This figure was 80-90% at the peak of the 2007-08 stock market boom. One big reason for the fall in cost is Internet. Online distribution has sharply reduced acquisition and maintenance costs, so much so that there are some Ulips whose costs are less than that of mutual funds. For instance, if a 30-year-old male invests Rs 50,000 every year in Aviva's i-Growth plan, an online Ulip, he will have around Rs 13 lakh in 15 years assuming 8% return. Even after taking into account the rise in mortality charges as one grows old, the cost per annum is 1.29%. 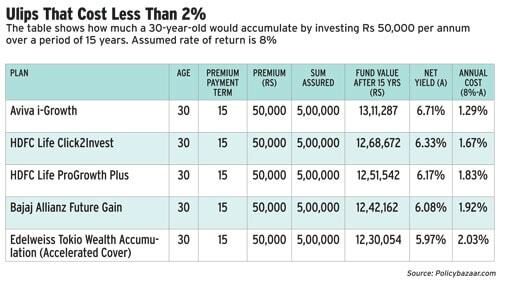 If he invests the same money in a five-star rated large- and mid-cap fund he will receive around Rs 11 lakh in 15 years (at 8%). The average expense ratio of top mutual funds is roughly 2.6%. Even if we invest directly and assume an expense ratio of 2.3% (by removing the trail commission paid to agents), the fund will grow to Rs 12 lakh, still lower than what the Aviva Ulip will yield. The cherry on the cake is the insurance cover that you get on the Ulip. What makes new Ulips cheaper than mutual funds? Dahiya says, "Since new Ulips have a five-year lock-in (the earlier ones had a three-year lock-in), persistency will improve. Hence, fund managers will have an investor's money for at least five years. Future cash flow may be affected if the policy is discontinued but outflow can happen only after five years." 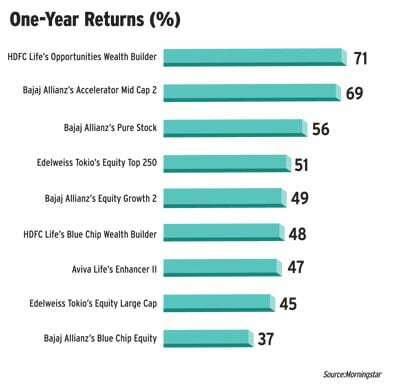 Some lost-cost Ulips (from policybazaar.com) are Aviva i-Growth, Bajaj Allianz Future Gain, HDFC Life Click2Invest, HDFC Life ProGrowth Plus and Edelweiss Tokio Wealth Accumulation. Another advantage new Ulips have over the older ones is homogeneity. This makes buying online easier. The plans offer a cover of at least 10 times the annual premium and have standard surrender charges. The charge structure is also similar. Still, you need to be aware of some points to get the most out of Ulips. Take the case of Amit Chauhuan, who bought a plan in 2011. He paid a monthly instalment of Rs 2,500 for 18 months and then stopped. In the sixth year, he decided to cash out. The fund value was 50,000 but he got Rs 47,000 after deduction of surrender charges. Had he stayed invested for a longer period he could have saved on surrender charges and also earned a higher return. So, even if new Ulips have lower costs, don't invest for just two-three years. Buy only if you can stay invested for at least 10 years. Since charges are front-loaded, the benefits are more if you stay invested for a longer duration. Also, loyalty additions are generally added after eight to 10 years. In 2007, on advice of his agent, Virendra Pal Kapoor, 72, invested Rs 50,000 in a single-premium policy of SBI Life called UNIT PLUS II. On agent's advice, he opted for a high risk cover (625% of premium). To his surprise, and shock, he was paid just Rs 248 at maturity as almost all the premium money went to pay for the high mortality and other charges. He had chosen the all-equity option. Kapoor filed a case in the Allahabad High Court. The court asked SBI Life Insurance to return the premium amount of Rs 50,000. So, remember that if you are old, Ulips are not an ideal investment for you as high mortality charges eats away the corpus. Do not stop paying midway. Start a policy only if you are confident of paying all the premiums. The policy should be linked to long-term goals. For emergency and short-term needs you should keep money either in liquid funds or fixed deposits. Surrender charges are also deducted if you stop paying before completion of five years. Cost is an important element while comparing investment products. But do not forget to compare the performance of different funds. Last but not the least, buy term insurance for covering risks. At a small sum, you can buy a cover larger than what any savings plan can offer you. "Those who stay longer will gain"
Deepak Mittal, MD & CEO, Edelweiss Tokio Life Insurance, talks to Teena Jain Kaushal on various facets of insurance. Q. There have been a few unit-linked plans which cost less than mutual funds. Wealth Accumulation (Accelerated Cover) is among them. How have you managed to keep costs low? A. Wealth Accumulation (Accelerated Cover) was designed to provide customers a low-cost investment- linked product. The product is designed in such a manner that it is competitive and sustainable at the same time. This has been achieved by providing guaranteed additions from 8th policy year onwards till the end of the policy term. This ensures higher returns (effectively lowering cost) to customers and rewards customers who stay invested for longer. This type of design allows us to collect sufficient charges initially so as to cover expenses in case customers leave early. The death benefit is also kept as a basic requirement of 'higher of fund value or sum assured', which ensures that no unnecessary mortality charges are borne. Q. What are the key takeaways from the recently-promulgated insurance ordinance? A. The passing of the ordinance is definitely a positive step and shows strong government intent for insurance reforms. However, actual FDI flows will depend on the technicalities of ordinance versus Bill and the FIPB process. For an industry that has a large 'on-ground' infrastructure that combines branches, employees as well as agents at the grass root level, this could be the big 'shot in the arm' for financial inclusion steps that the government has been taking. Q. Under a pilot project, IRDAI had asked insurers to tie up with all repositories so that policyholders can maintain their policies in digital form. How is the response? A. The key question is that the customer is grappling is what is the advantage of digitalisation. If you look at it from the brokers' angle, when share were dematerialised, it made a lot of sense because a lot of people trading in the market had issues. All of us already maintain policies in electronic format, everything is in a back office system, and so today if any claim needs to be processed the policy is not a must for that. So, in that sense, it's already a digital policy to that extent. Q. How useful are insurance app for policyholders? Does Edelweiss Tokio Life offer one? A. Currently whatever apps we have are restricted to sales illustrations to check what kind of premium you have to pay for a particular product. It is more used by sales people. Typically people download apps which they use frequently. In life insurance, it is typically during the time of renewal. We have done some research on it. Unless you have at least three or four interactions in a month, the app is not that useful.